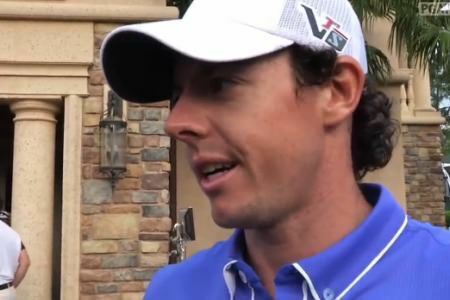 Rory McIlroy was not pleased with his 72 but knows he’s still not out of contention for The PlayersRory McIlroy showed his growing maturity and patience but Pádraig Harrington could be forgiven for rapidly losing after barely scraping into the last two rounds of The Players at Sawgrass. The Dubliner’s tee shot came up 54 yards short in a pond at the par-three eighth and he signed for a second round 76, eventually making the level par cut with nothing to spare after an anxious afternoon wait. Graeme McDowell missed by two strokes following a laborious and frustrating 76 while Rory McIlroy had to chill outbattled his way to a 72 to trail leader Sergio Garcia (65) by six shots on five under. After an early birdie at the second, McIlroy dropped three shots in a row from the seventh but bounced back with birdies at the 10th and 12th before parring home. As for Harrington, his day was always going to be a long one from the moment he tugged his tee shot into the trees at the 10th, took a penalty drop and bogeyed. Two birdies quickly followed but the rest was a grind and after bogeys at the 15th, 18th and second left him back on two under, the 41-year old complicated life with a shocking tee shot. At least he has another two rounds to get his competitive juices flowing but one wonder right now what can ease the Dubliner’s jumpiness between the ropes, not just with the putter, but through the bag. At the other end of the leaderboard, Garcia shot a second round 65 for 133, seven-under, that gave him a one shot lead over world number one Tiger Woods. “Everything seems kind of clearer in your head when you’re putting well, you seem to see the break,” said Garcia, who birdied the 16th and 18th to turn in two under and followed a bogey at the first with five successive birdies and another at the par-three eighth that almost cost Harrington dear. Kevin Chappell (66), Lee Westwood (66) and Henrik Stenson (67) are tied third, just two behind Garcia on nine under. As for Woods, he looks confident after another controlled round of ball-striking. “Even though, over the years, I haven’t played my best here, I’ve still won here. Twice, technically,” said Woods, referring to that Players win and his 1994 US Amateur. Rory McIlroy might have missed this first cut for nine months in the Honda Classic but Pádraig Harrington still insisted he’d love to have the world No 3’s ball-striking brilliance with just 40 days to go to the Masters. Rory McIlroy suffered a first round splash down at the island green 17th to card a 74 that leaves him struggling to make the cut on his debut in The Players Championship at TPC Sawgrass. Tiger Woods made the cut at Sawgrass. Rory McIlroy, Padraig Harrington and Graeme McDowell didn’t.Tiger Woods avoided missing two cuts in a row for the first time in his career but Padraig Harrington (76), Graeme McDowell (71) and world No 1 Rory McIlroy (76) all failed to qualify for the weekend in the Players Championship at a firm and fiery TPC Sawgrass. Padraig Harrington had to rely heavily on his belly putter and driving to shoot 68 at Sawgrass’s Stadium CourseAs the golfing world licks its lips at the prospect of a genuine shootout between world No 1 Tiger Woods and heir apparent Rory McIlroy, Pádraig Harrington rose phoenix like from the ashes of last week’s Quail Hollow burnout to hole 102 feet of putts in an opening 68 in The Players at TPC Sawgrass.